Previously at Öljung, Cecilia was accepted in private school. 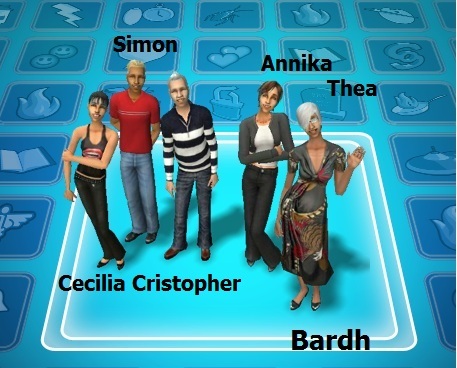 The relationships between Simon and Annika and Thea and Cristopher were strained, but Annika and Simon eventually made up. 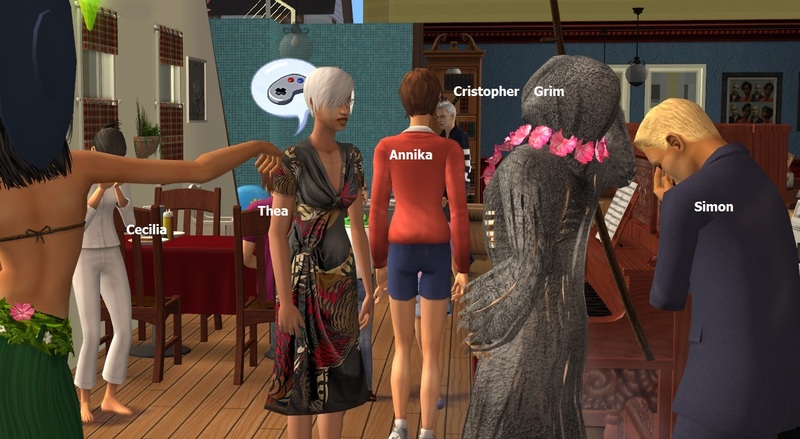 The round starts with Annika inheriting money from her late father Georg Lind, who died recently. 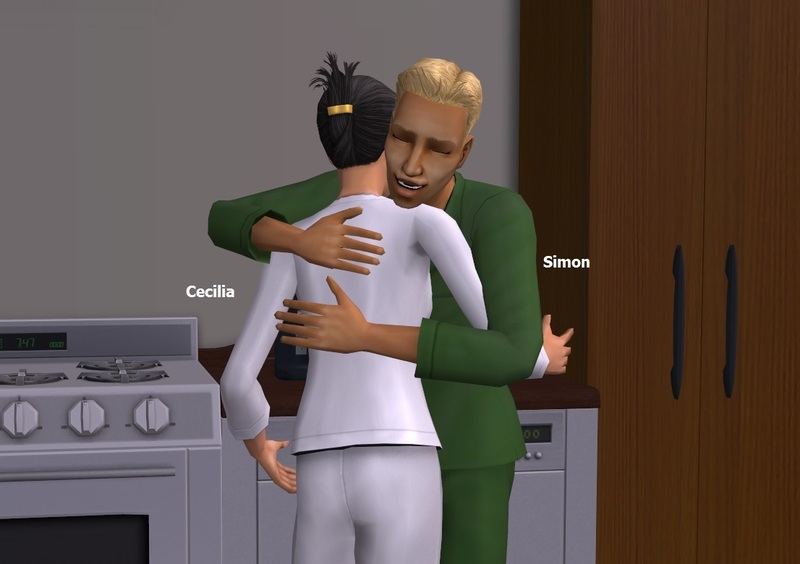 Her and Simon really made up since last round. 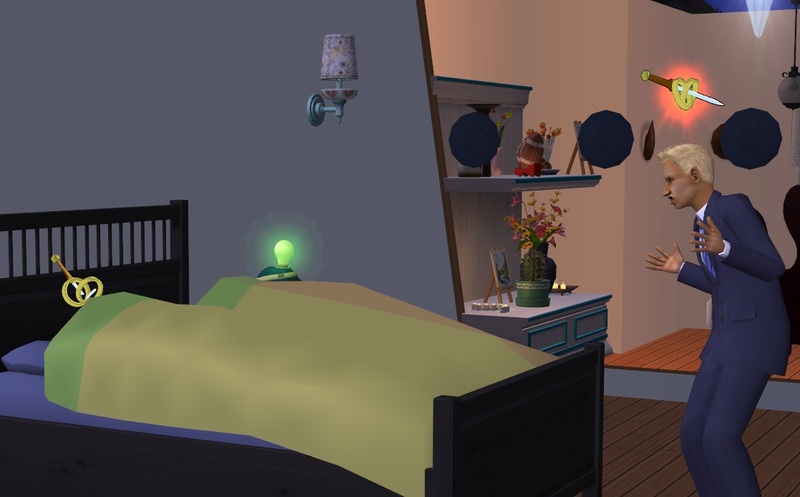 When finished in bed, Simon takes up robot making. He even earns a bronze badge. He should put up some fixtures by his work bench. Cecilia finds that her true hobby is fitness. She’s just waiting for the week to end so that she can go to college. 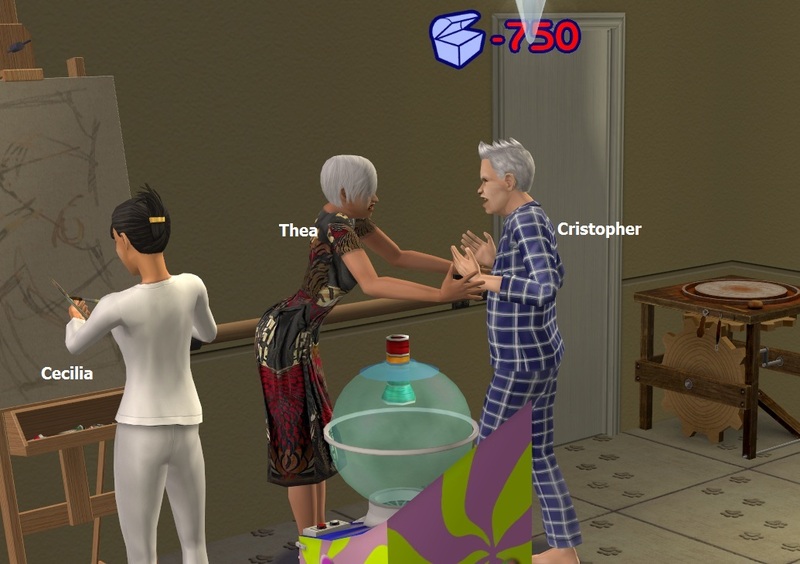 Thea and Cristopher didn’t make up. 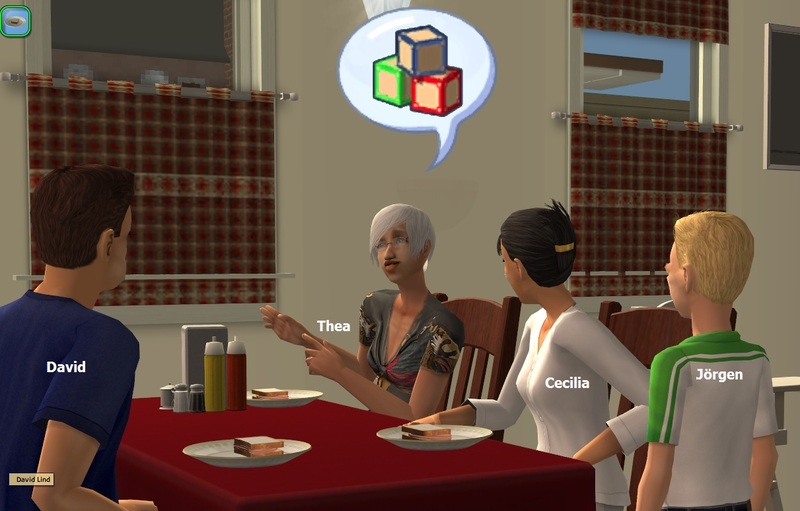 Thea gets furious when Cristopher tries to flirt with her. Thea: ”I’ve had it with you and your cheating ways! Don’t you ever touch me again! As a matter of fact I want you out of this house! !” This is the 22nd of May ’90. Thea is very sad, too. After all, they shared 45 years for better and for worse. 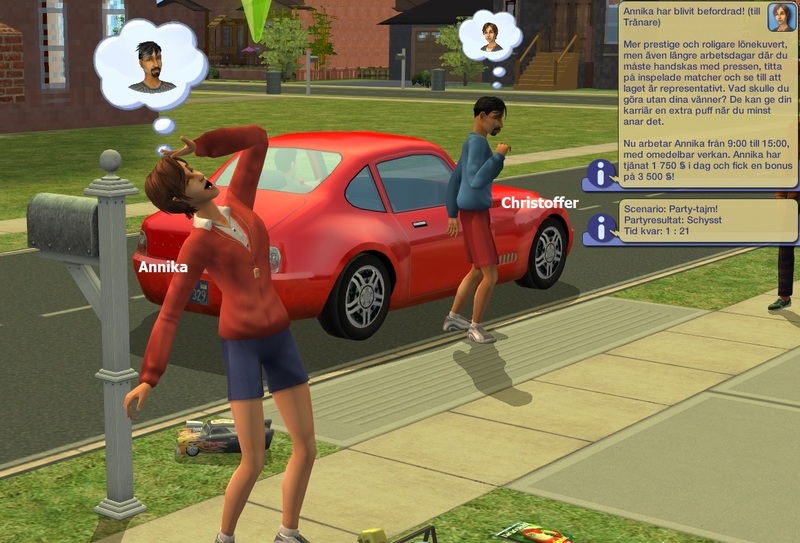 However, when she gets over it, she starts dating Ricky Cormier, who she has flirted with before. 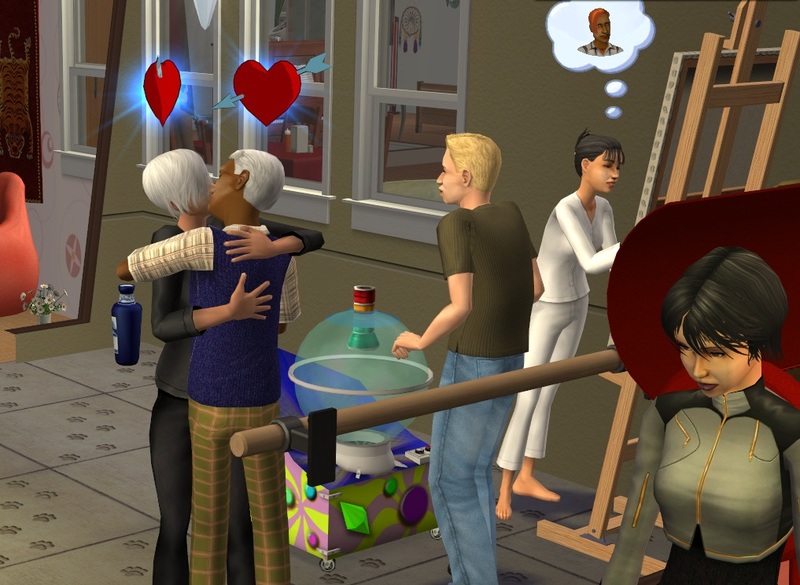 And she finds love in her old age. 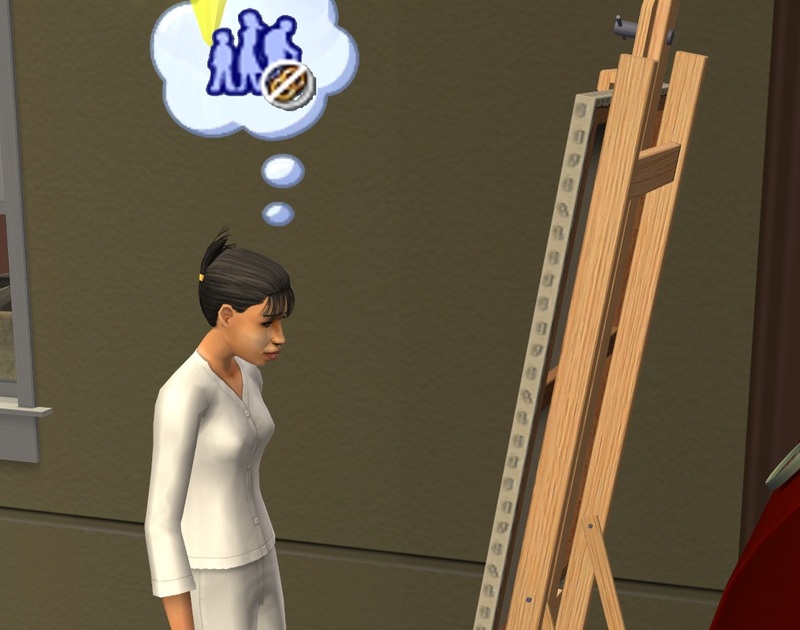 And during all this, Cecilia is painting one master piece after another. Finally, it dawns on her, though. 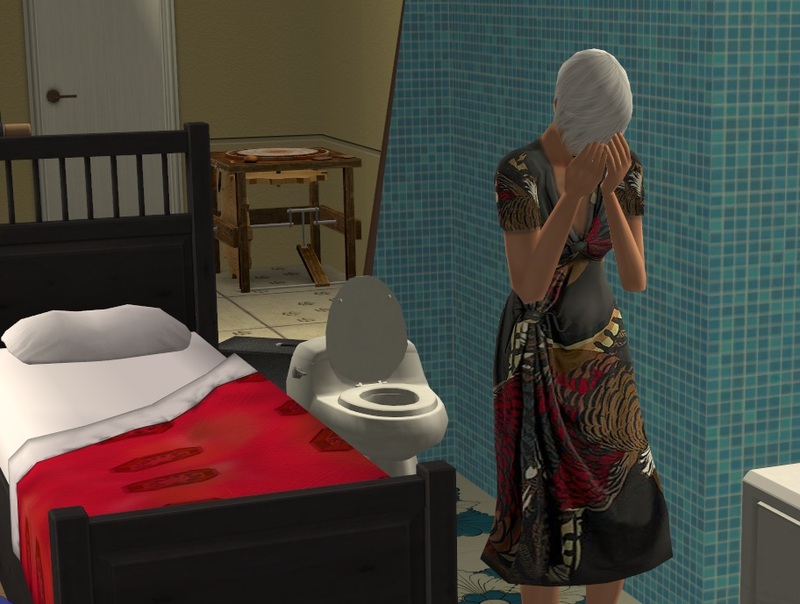 Annika is unaffected of her in-laws divorce and gets promoted to Coach. 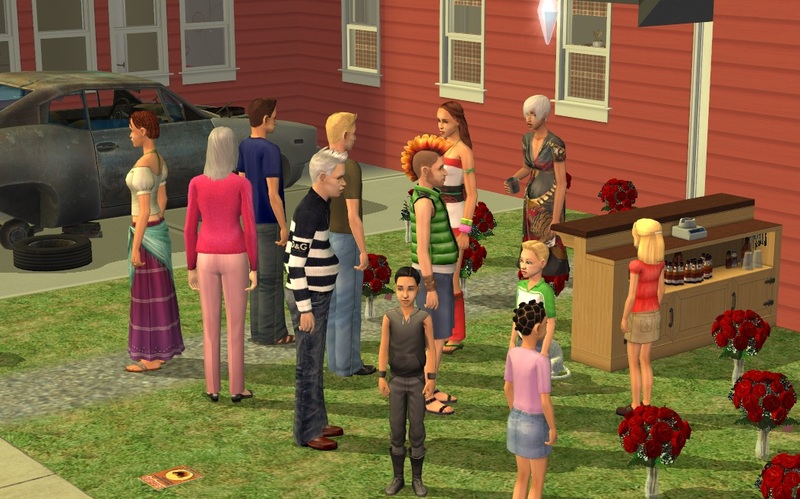 She brings home the hottest sim in the Simiverse – Christoffer Montell. 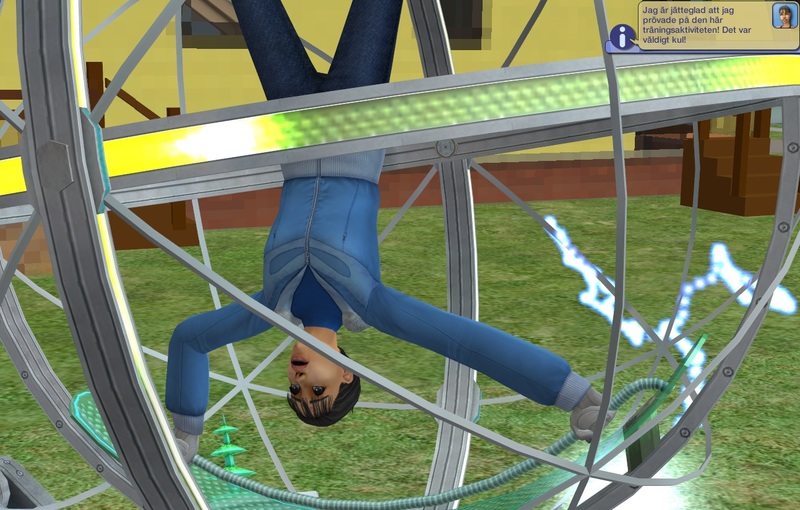 Simon loves to work out and get fit. 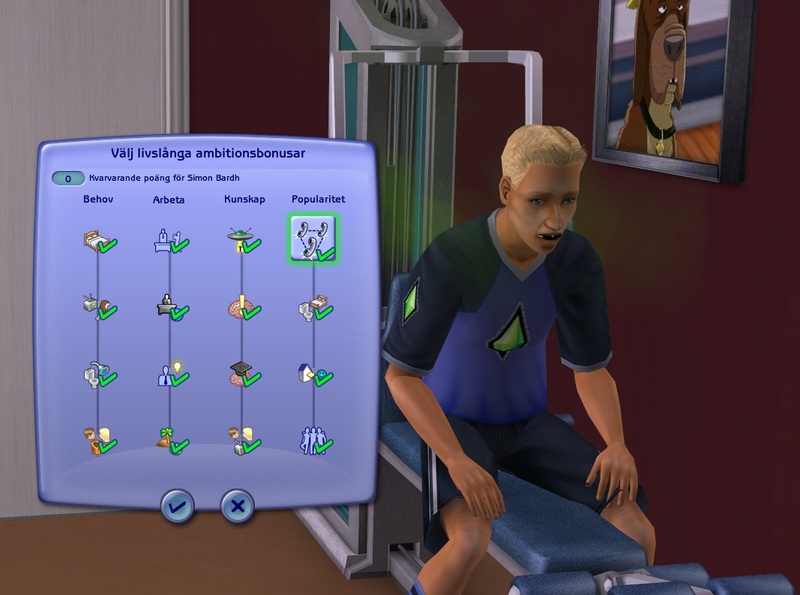 It gives him aspiration points to fill his aspiration panel. 3p! Thea meets and pets the Leader of the Pack, but nothing happens. With Family Sunday approaching, we introduce new rules. Parents and siblings will be invited, but no grown up nieces and nephews. 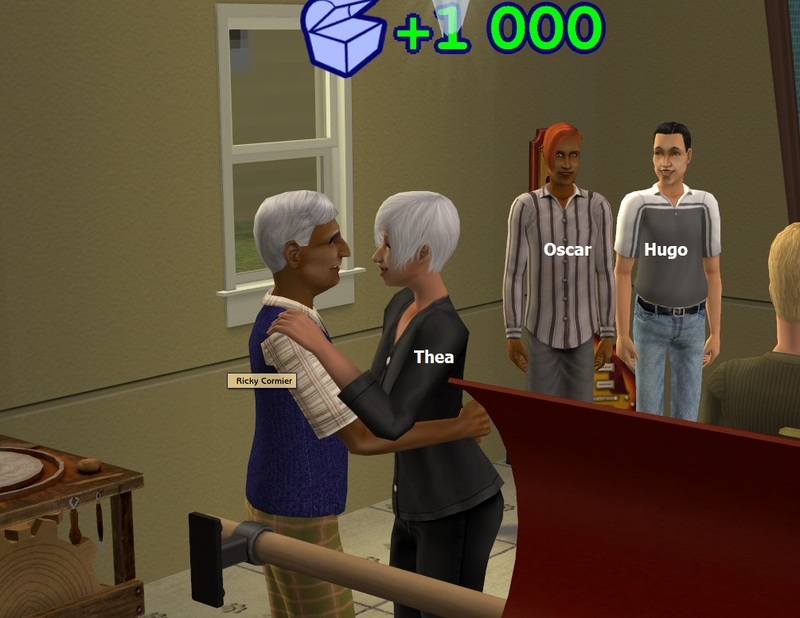 Thea is the first sim born in game and the last one to still be alive. All her parents and siblings are dead. Her father was Dan Mattsson, the patriarch of the Mattsson clan, and her mother was Lena Myhr, founder of the small Myhr dynasty. 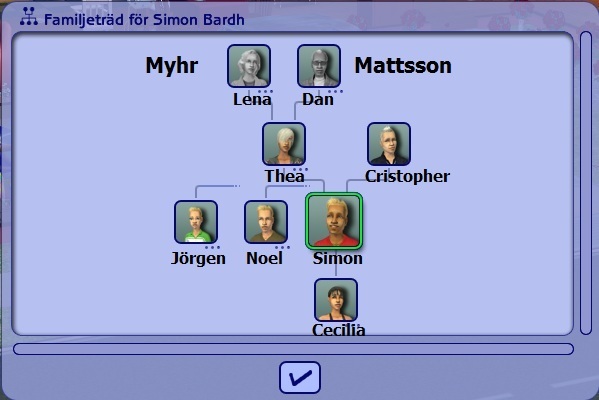 Thea had five Mattsson siblings and one Myhr brother. 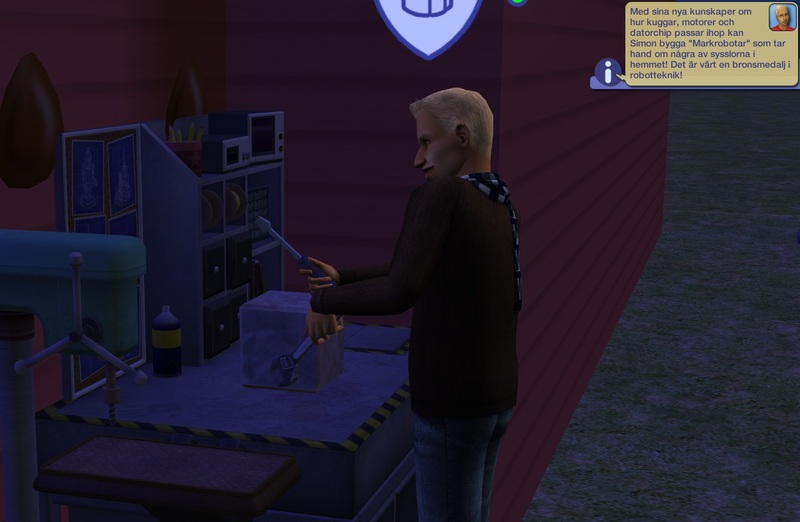 Simon on the other hand has his father alive and two brothers – Noel, his twin, and Jörgen, son of Vera Johansson and Cristhopher. 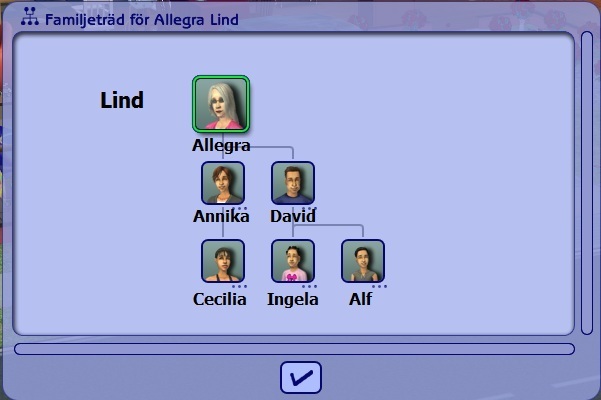 Annika is from the small Lind family. 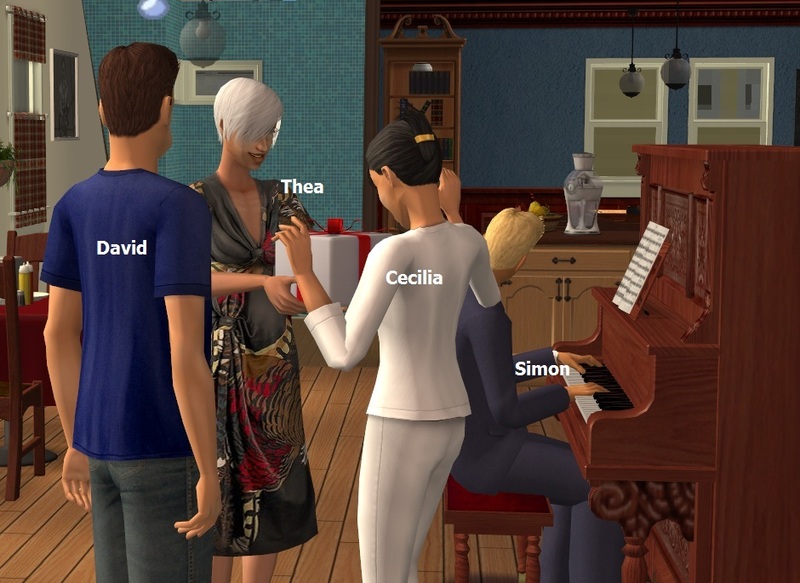 Her mother Allegra is still alive and will be invited, as her brother David with wife and kids, Cecilia’s cousins. Of course Noel’s live-in girlfriend Caroline and their children Alexander and Maja are invited, too. The Sunday starts off nicely with Cecilia at the drawing board. 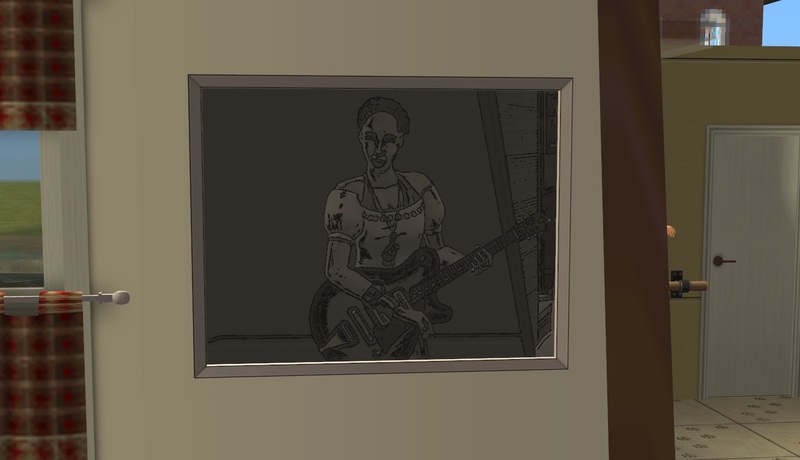 It’s a charcoal drawing of her aunt Gerd playing the guitar. Then Annika, 47, comes home promoted to the TOC of the Athletics career, which as her LTW – 2p! Because it’s time for her to go. 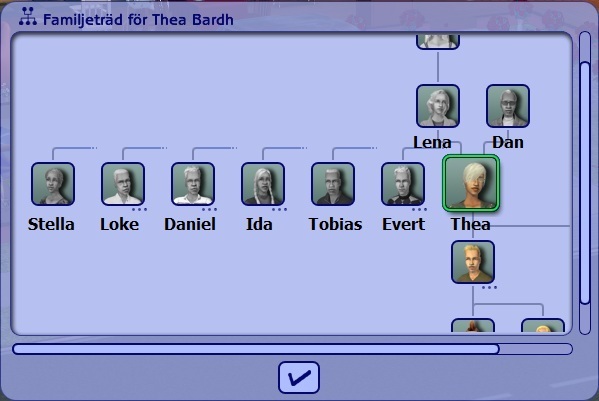 Thea (Mattsson) Bardh dies at the age of 77, the 22nd of May ’91, one year after her divorce from Cristopher. She leaves behind her sons Simon and Noel with girlfriends and three grand-children, Alexander and Maja Johansson and Cecilia Lind. She goes in platinum. 1p! And here comes the insurance money for Thea. I swear, this is really the order of the events exactly as they happened in game. Cecilia is devastated. Two divorces and one dead Farmor is a bit much in one week. However, it’s time for her too to leave, for university. She is qualified for four scolarships – in art of course, and for good grades, dance and body skill. 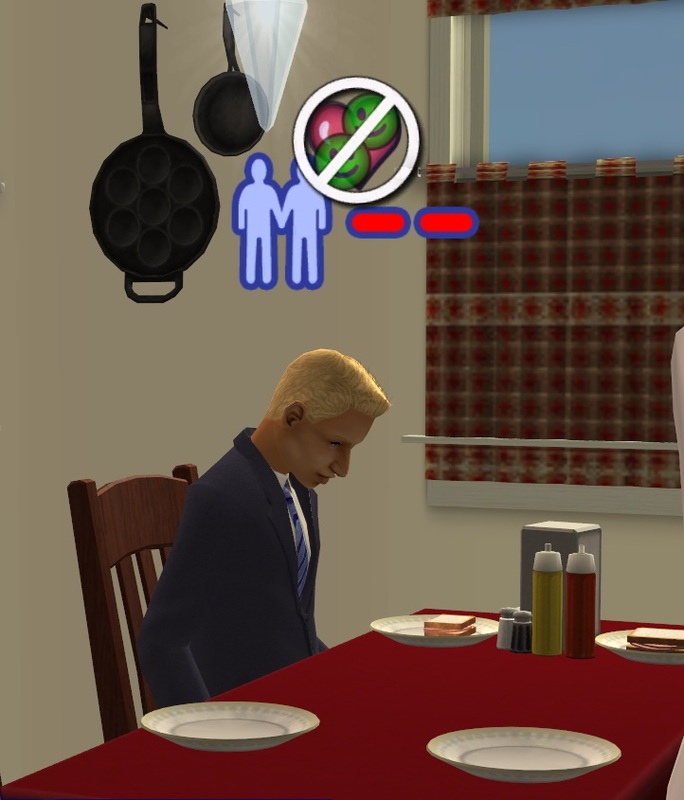 Then she says goodbye to her father and leaves. 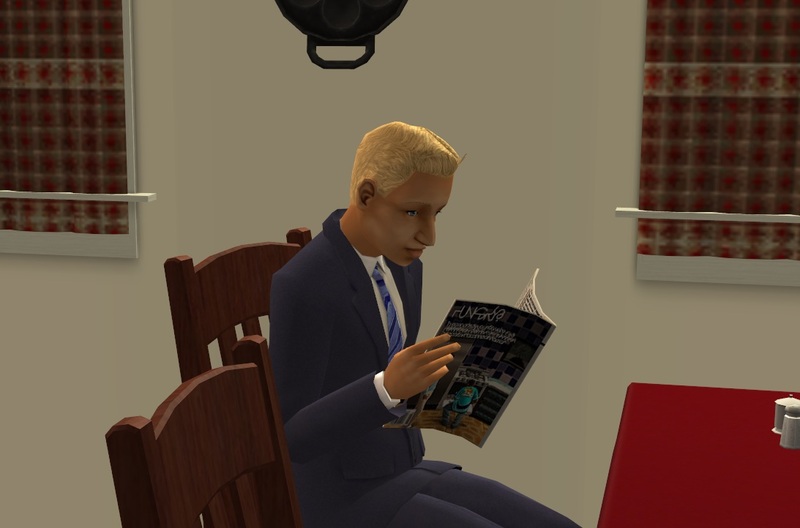 And all of a sudden, Simon finds himself all alone in the big house. He feels a bit deserted and invites over his two-bolt friend Maud Thorell (Meadow Thayer). He greets her warmly! They fall madly in love with each other. DRAMA! Death and drama! That was certainly a change of pace. 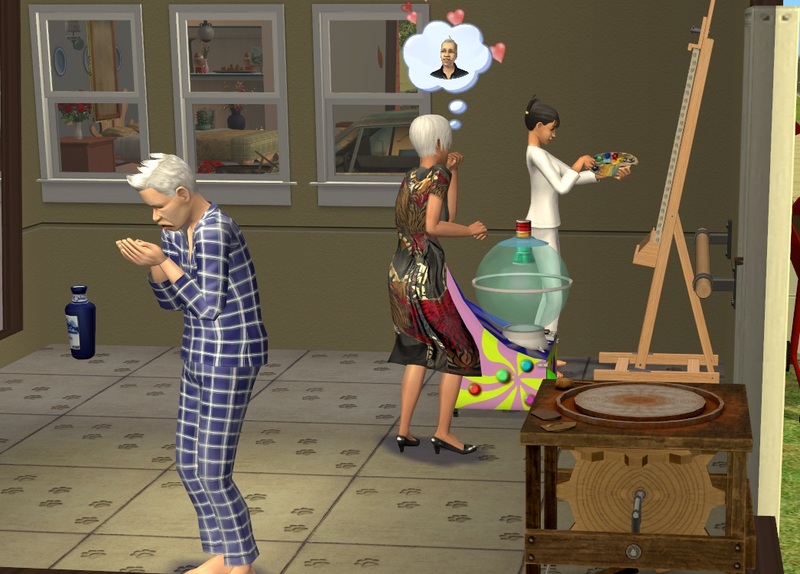 Wow, talk about turning everything on it's ear in this house. Unbelievable that Christopher and Annika would be going at it while Thea's still making her final farewells almost it looks like. Guess neither one of them were too broken up about her passing. Are they going to move in together somewhere now, or was it a one time fling for them? Two big breakups in such a short time! 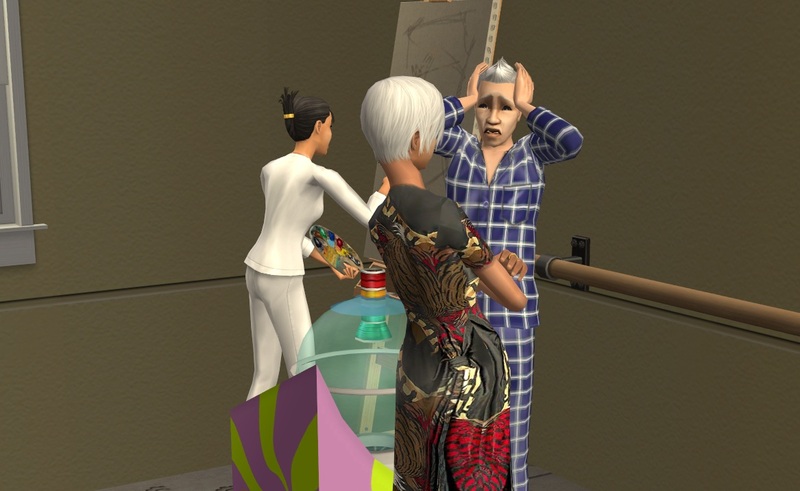 Lots of drama for this household. Yeah right, now I remember! And believe it or not, I actually felt an urge for re-reading it all from the start. :D Aaall the way from the founding families. Probably won't happen, it is a bit much especially since I've already had problems keeping up with the updates lately - but all your hard work documenting the progress of this challenge has made for some very entertaining reading.